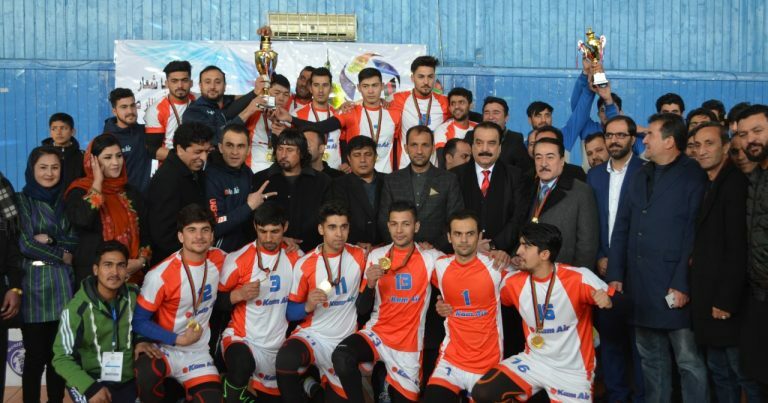 Kabul, Afghanistan, January 19, 2019 – In-form Kam Air stamped their authority over the 8th Afghanistan National Men’s Volleyball Championship after a well-fought 3-0 blitz over Jilani Team in the final showdown on Wednesday, as University of Khurasan from Nangarhar province picked up bronze. 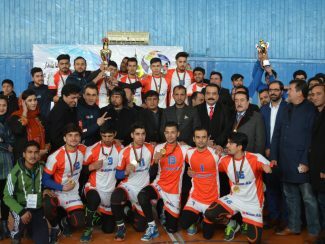 The Kam Air’s 25-22 25-23 25-16 victory in the thrilling final match made much of the impact as it was for the first time that a provincial team emerged as the Afghanistan champions. 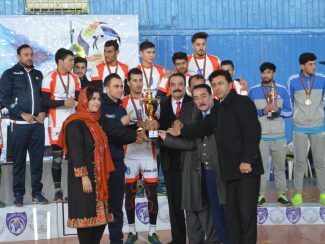 The championship was held from January 5 to 17 at the General Directorate of Physical Education Hall here, with a total of 20 best teams across Afghanistan taking part in to vie for the top honour. After the tournament, outstanding players from this tournament will also be selected to make the Afghanistan national team players for future major international competitions. The final match between Kam Air and Jilani Team, with first referee Mr Said Pacha and second referee Mr Ahmad Jawed Sharafi officiating, was also televised live by National Radio and Television of Afghanistan. 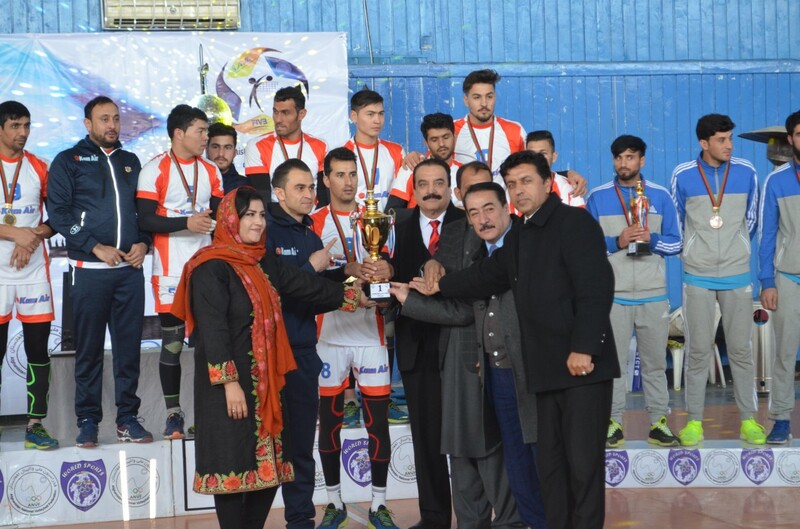 At the awards presentation on Wednesday, Kam Air received the champions’ trophy, with Jilani and University of Khurasan taking silver and bronze medals respectively. 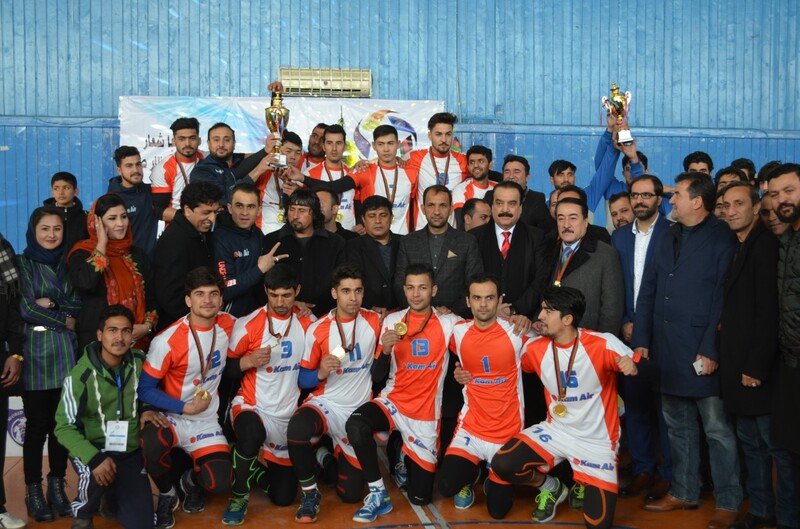 Mr. Omid Zadran from Ghulam Haidar Jilani Team won the Best Spiker Award, while Mr. Ghulam Rasool Turkman from Kam Air was the pick of the bunch to win the MVP Award. Mr. Ghulam Bahawudin Jilani, President of Afghanistan National Volleyball Federation, expressed his sincere thanks to all participating teams and told the media that January 17 was an history for the federation since they could manage their event successfully despite bad security reasons. Live broadcasting also worked out pretty well in this championship. Mr. Mohammad Yunus Popalzai, Secretary General of Afghanistan NOC, added that it was great to learn that now there are a lot of international coaches and referees in Afghanistan with the help of FIVB Instructor Mr. Mohammad Yousuf Sadeq. Moreover, with the support of FIVB and AVC, these referees and coaches could manage this event at an international standard level.